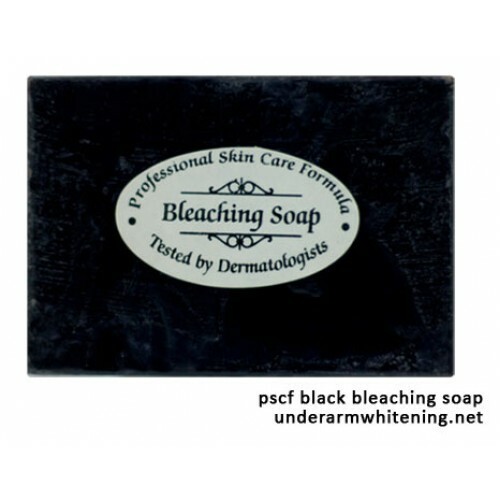 The PSCF black bleaching soap is effective in bleaching your facial skin, getting rid of zits, fading freckles and treating other skin imperfections. It contains Grape Fruit Extracts which are a rich source of Alpha Hydroxyl Acids which assist in skin rejuvenation. Additionally the soap contains Kojic Acid which is an efficient and safe exfoliant with proven whitening action. Black Lightening Soap is improved with Glycerin to moisturize as it whitens your skin. Leave soap foam on your skin for 3 to 5 minutes to experience the maximum impact. 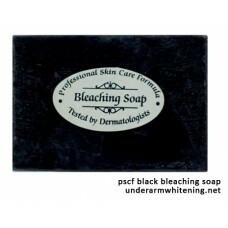 Black Lightening Soap is additionally effective in lightening dark skin due to burns, allergic reactions, and zit marks. Achieve amazing, imperfection free, whiter, more vibrant looking skin in no time. And feel the immediate effects on your skin right from its very first use.